Today’s feature rose is the Broadway Tea Rose, developed by Anthony Perry in 1984. It’s colorful red and yellow petals are ideal for cutting and display in a very fragrant bouquet. But, be careful with this rose, it’s sturdy stem is lined with woody thorns. It’s bite! This image is taken with a bud in the foreground and a fully matured Broadway Rose in the out of focus background area. 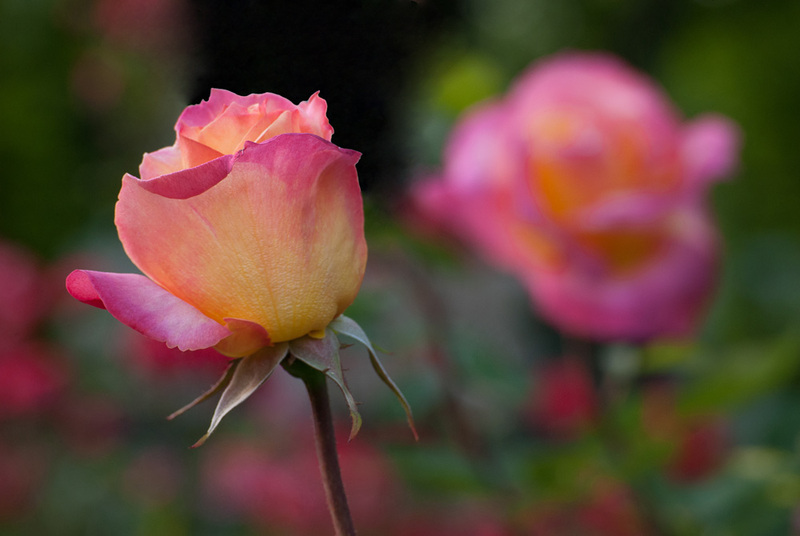 Enjoy today’s rose, day 3 in our celebration of the rose during the month of June. Be sure to come back tomorrow are another great image. And share this post with your connections.